If there’s one thing about the Florida Literacy Coalition that stands out above all others, it’s their commitment to sharing information and helping their friends get better at what they do. I was recently given the opportunity to attend Florida Literacy Coalition’s 10th Annual Leadership Institute—and they sure did share a lot! From volunteer management to developing funds, from best practices to new GED standards, I came back to the Adult Literacy League with pages of notes and handouts. Our staff and volunteers are very keen on professional development and staying up with the current trends, so everyone was very appreciative of all the information I passed along. Our Executive Director loves to hear anything from the amazing Neil Sturomski, our Development Director got some tips and tricks about fund cultivation, and our social media volunteers are starting to understand how we could use Pinterest in our communications plan. But some of the most pertinent information was about the new 2014 GED—which will revolutionize how we serve our students. We currently offer four free classes a week for GED Preparation and see an average of 5-6 students per class. As they work hard to study up on some difficult subjects, they now see an even more difficult deadline because the test will change in January 2014. And we’ll have to change with it. The new 2014 GED will be all computer-based. Luckily we have an upgraded mobile laptop computer lab, but we’ll need to also upgrade how we teach. Passing along information from the Leadership Institute has sparked ideas and creativity from our current GED instructors, who are thinking of ways to incorporate technology into their lessons. Information and resources from the Leadership Institute have been a very nice start to this process, and I know the Florida Literacy Coalition will be there to share more information and continue to help us get better at what we do! 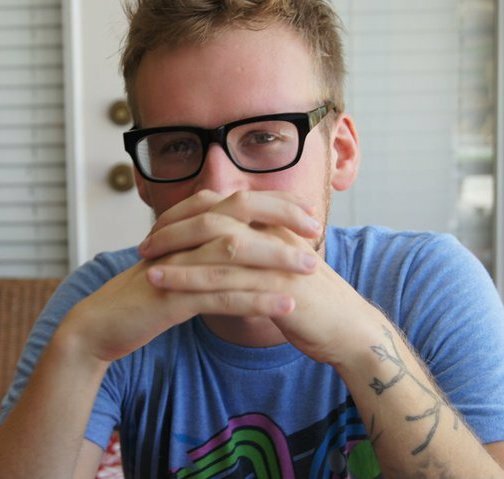 Zach is the Volunteer Coordinator with the Adult Literacy League. There’s something about the combination of New Year’s resolutions and tax deadlines that makes most of us want to get our financial houses in order. Managing your money can seem like a daunting chore to anyone, but that can be especially true for adult learners. While we certainly know several successful students, many often do not have the skills to create their own financial plan. Many students struggle not only with text literacy, but also with numeracy, or number literacy, which can make such chores even more intimidating. For the past nine months, the Adult Literacy League (ALL) has tackled this challenge for the students we serve, including those learning English and those with literacy skills below the 5th grade level. The Adult Literacy League continuously provides training and support to tutors, so they can reach beyond the standard literacy curriculum to help students build lives for their families that are financially stable and sustainable. Tutors fight illiteracy on the front lines by working with adult learners on a one-to-one basis to help them achieve their personal goals. These goals are the benchmarks our students use to measure their own success. We often receive reports that say things like, “Now, I can read my paycheck!” Imagine reaching that milestone after already working for twenty years. In our job skills classes, we have helped students write resumes, practice interview techniques, apply for jobs on line, and learn important job retention skills. In just the past year, at least 35 of our students have found jobs, 20 obtained first-time employment, and an even greater number have improved their work situation. This is one of the key outcomes we use to measure whether our students are gaining financial stability. We are also very proud of those students, about 20, who have continued their education to get a GED and/or post-secondary education or training. Our “More for the Money” program offers classes to all students, including those learning English. In this class, I helped students learn to make a spending plan by making financial goals, determining the steps they needed to get there, and recording their progress. We talked about things as simple as writing checks, how to manage a bank account, and keeping track of the money we spend. We used the “Control Your Money” workbook from New Readers Press, which is a little easier for students at the lower literacy levels. The Adult Literacy League is now working with an experienced volunteer to redesign elements of the FDIC “Money Smart” curriculum to provide classes for our students. We are proud to report that our instructors, tutors, and students have reported more than 200 positive outcomes based on improved financial sustainability. New jobs, better jobs, career training, workable resumes, job interviews, budgeting skills, new bank counts, and savings & retirement plans. Improving these skills helps our students develop their basic skills and transform the future for themselves, their families, and their communities. The non-profit world is hectic. I’ve never been in an environment as fast-paced, demanding, exciting, and dynamic. A day can start without me knowing it and end long after I thought I’d be leaving the office. It’s not hard to get so caught up in my work that I forget lunch breaks even existed. My mission is all-encompassing. My current goal: find an AmeriCorps*VISTA. New AmeriCorps*VISTAs (Volunteers in Service to America) start their journey by creating an application on the AmeriCorps website. They can search through work opportunities based on their interests, areas of expertise, or location. Some VISTAs want to stick with their community and find a non-profit organization in their neighborhood while others want to branch out and explore a new part of the country. After some candidate selections and interviews, there’s a new bright and shining face in a lucky non-profit’s office, ready to make America a better place. As a former VISTA at the Adult Literacy League, I had many hectic days. Whether I was building relationships “in the field” with local community members or sitting in a cubicle writing reports, my days were full and exciting. I was luckily given the opportunity to see my developments continue to grow when I was offered a position on the Adult Literacy League’s staff as the Volunteer Coordinator after my VISTA year of service. Now I’m searching for a new VISTA to continue the great work for which AmeriCorps members are famous. A strong candidate can handle a demanding workload and will create projects that enhance the organization in ways never thought of before… Such as creating a social media outreach plan, finding new ways to reach clients and volunteers, and develop new programs and projects. VISTA development work strengthens an organization’s mission. While I’m currently going through applications, I’m looking for candidates that have a strong goal for themselves, as well. Good VISTAs know they can increase their own skills while also helping their community. At the Adult Literacy League we want to maximize our VISTA’s potential by utilizing their abilities and helping them work on new skills. Not only will it help them, but their growth will help us! Central Florida needs great people that are hard workers, love variety, have goals, and want to serve people in their community. Central Florida needs AmeriCorps*VISTAs. Sign up today on the AmeriCorps website and change lives… Hopefully your application ends up on my desk! 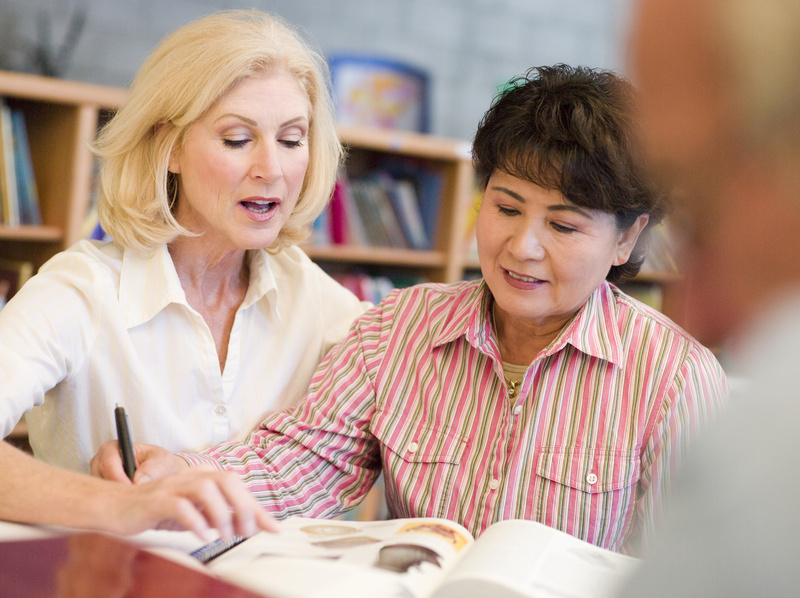 After learning more about adult illiteracy, I decided to start tutoring an adult learner. I signed up with the Adult Literacy League and was quickly assigned to a student who had been on the waiting list for some time. My past service experience has been limited to working in my church, after school programs, tutoring computer classes, but predominantly with children and young adults. Needless to say, I was nervous for my first meeting. I ended up chatting with several of my friends who are educators, and colleagues who have worked with adult learners. Where would I start? How do I manage not to belittle his intelligence and not assume that he knows certain things? Should I design this first meeting based on his intake form? What’s a realistic timeline to reach his overall goal of getting a GED? Since there were so many different questions, I took some advice from one of our trainings: don’t plan a lesson. I decided that I would just talk to my student and get to know him. After all, the goal is to build a relationship. I brought the materials I received from ALL to the library so he could see what we are going to be working with. Once he showed up, I just asked him to tell me a little bit about himself. We went back and forth explaining our strengths and weaknesses in learning (hopefully he doesn’t feel like I’m incompetent for acknowledging so many), what brought us to Orlando, what sort of activities we enjoy, and most importantly, the reason why he has decided to take classes and learn how to read. Through this conversation, I found out that my student is very active in his church and is looking to be a minister. GREAT! Something to work with so we aren’t bored with workbooks and that what we are doing is relevant/useful. We decided that we would use workbooks, but he would bring his own materials from church so we can work with both. The hour ended up going by very smoothly. I started out really nervous and fidgety, but once we started talking, we both were more relaxed and comfortable. We’ll see how it goes next week when we actually start working with the material, but for right now, I feel comfortable and positive about this upcoming experience. Since writing is one of the last skills to develop, native speakers of English who are not proficient in reading are less likely to be proficient in writing. Students that have been shamed in the past for their failures in writing, may dislike writing and write as little as possible. ESL (English as a Second Language) learners may also experience the same problems because they are aware of their mistakes speaking English. Thus, ESL and native speaking students are less likely to write because they do not want to see a paper loaded with red marks and corrections. The language experience approach (LEA) is a powerful tool for tutors to use with any learner who has enough conversational ability to carry on simple conversations, even if that person has no reading skills at all. It uses the language of the learner, dictated to and written down by the tutor, as the basis of the reading material. The material is then familiar and understandable since it is based on the learner’s experience, making it easier to read. But what if learners make grammatical or other mistakes when dictating to the tutor? What about mistakes that native speakers and ESL learners make in their own writing? Some tutors feel that they should correct all mistakes and if not they are reinforcing those mistakes. But such an approach defeats the purpose of the LEA and ensures that struggling writers will become more discouraged and less likely to write. These issues and others will be discussed at the Tutor Celebration of Learning Seminar offered by the Florida Literacy Council and the Adult Literacy League on the morning of September 17, 2011. The Florida Literacy Coalition recently recognized three organizations and three individuals for their commitment and dedication to increasing adult and family literacy in the state of Florida. The awards were presented at a special banquet held during the Florida Literacy Conference in Captiva, Fla. In all, six awards were presented during the banquet. Bank of America (Central Florida) was recognized as an Outstanding Business Partner for their leadership and significant contributions to support Orlando’s Adult Literacy League. Through grants and program training, the organization has raised the profile of adult education and literacy in Central Florida. The Gainesville Sun was honored as an Outstanding Media Partner for their outstanding, innovative and effective coverage of literacy issues. The company has been a driving force behind the area’s Annual Family Literacy Festival, and provides the Alachua County Literacy Network with a regular meeting space, administrative support and free advertising for volunteer recruitment. Marion County’s Literacy Council received the Excellence in Education award as an organization demonstrating outstanding achievement in adult and family literacy education. The council has doubled the number of adult students it services in the past two years and has a dedicated volunteer base of more than 80 tutors. The organization has come a long way from its beginnings in the founder’s garage in 1999. Cherie Byrnes of Citrus County was recognized with the Outstanding Literacy Volunteer award for her efforts with the Citrus County Library System. Byrnes has demonstrated exceptional service and commitment to tutoring and program operations, and was instrumental in launching the library’s first English language classes. Nancy Tamayo de Galdez, an adult student from Palm Beach County, was honored with the Flight for Freedom Award for her extraordinary accomplishments in improving her literacy skills. A single, working mother, Tamayo de Galdez started learning English as a second language in 2007. Over than past three years she has volunteered hundreds of hours with the local literacy academy and other community organizations. She also is currently attending Kaiser College to become a medical assistant. 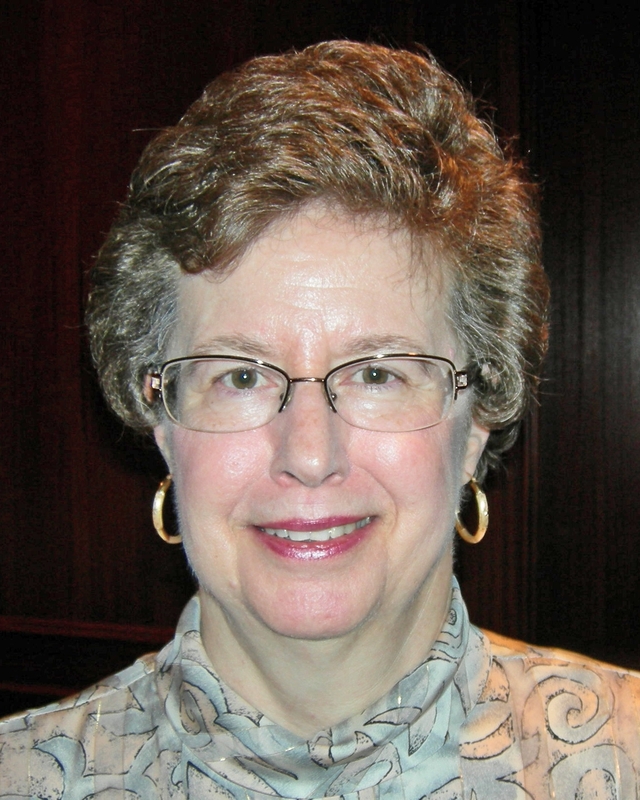 Margaret Anne Wheeler of Polk County was recognized with the Mary J. Brogan Leadership Award for upholding the highest standards of excellence, dedication, leadership and creativity for her literacy work in Polk County for more than two decades. Wheeler is revered as a role model for others, an ambassador for excellence in education and an advocate for the adult learner. 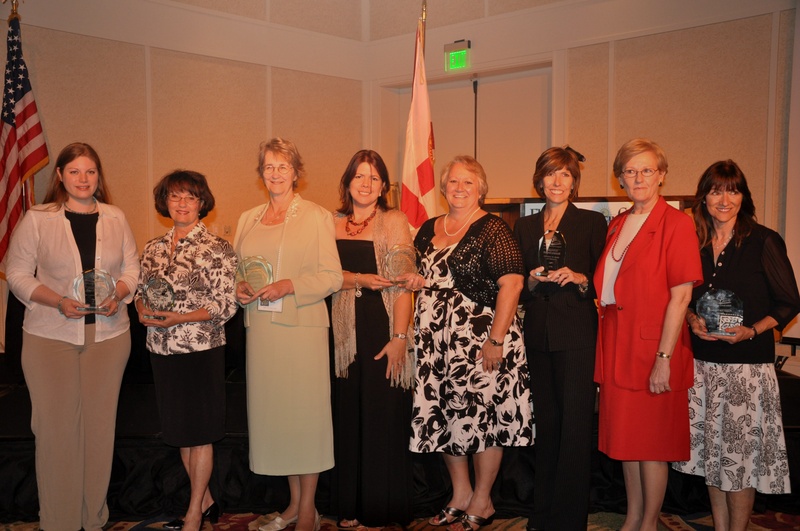 Congratulations to all of the 2010 Florida Literacy Award winners. Keep up the great work!